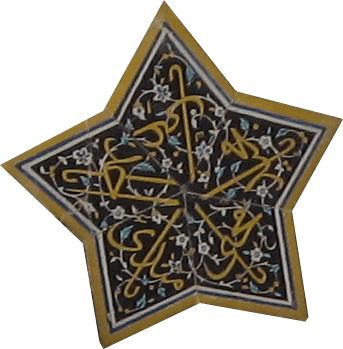 The Safavids (Persian: صفویان) were a series of rulers of Persia. They were a mix of Azeri and Kurdish people, and were Shia Muslims. The Safavids ruled Persia from 1501/1502 to 1722. 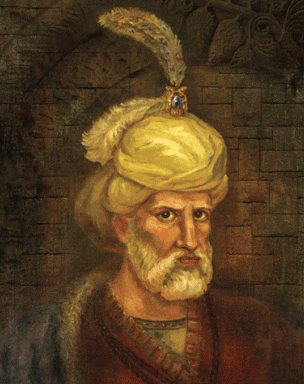 The Safavids made the greatest Turkish empire since the Muslim conquest of Persia. They established the Ithnāˤashari (Twelvers) school of Shia Islam as the official religion of their empire. This was one of the most important turning points in the history of Iran. "Jealousy among Rivals" attributed to Muhammadi. Miniature painting contained in a Persian volume entitled Busta by Sa'di in 1579, possibly under the patronage of Vizier Mirza Salman. E.M. Soudavar Trust, Houston, Texas. Shah ‘Abbās King of the Persians.Copper engraving by Dominicus Custos, Atrium heroicum Caesarum (1600–2). A map of Safavid Empire in 1720, showing different states of Persia. 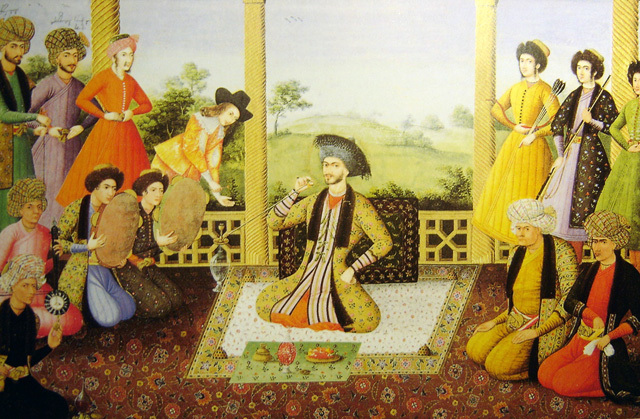 Part of the Safavid Persian Empire (on right), the Ottoman Empire, and West Asia in general. Emanuel Bowen, 1744–52. 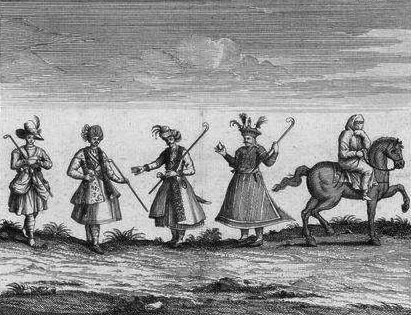 Rostom (Rustam Khan), viceroy of Kartli from 1633-1658. Safavid dynasty Facts for Kids. Kiddle Encyclopedia.